A referral is the biggest compliment you can give us. To say thanks, both you and your referred guest will receive $20 off services. Our new guest will enjoy $20 off their first salon visit and as a referrer you receive $20 credit towards services or retail. Life happens - we get that. We just ask that you notify us if you are going to be late for your appointment. In order to ensure each guest has the best experience, please be aware that if you are more than 15 minutes late, we may have to reschedule your appointment. We accept returns on our products within 14 days of purchase date for merchandise credit valid for up to 1 year. We obsess over your experience. If for some reason we do not meet your needs, we invite you to return within 14 days. We'll work with you to create a look you are completely satisfied with and leave the salon happy. Our guests are our #1 priority.  Salon 1800 requires a credit card to reserve your appointment. We understand busy schedules and different circumstances can not be avoided so we are happy to cancel your appointment with 24 hours notice or more. If any cancellation is not made with at least 24 hours notice you will be charged 50% of the service fee. Missed appointments are subject to charge in the full amount. We happily accept cash and all major credit cards for services. Sorry no checks. Gratuity is cash only. We have an ATM located inside the salon for your convenience. We have partnered with Green Circle Salons to start making a difference in our community and beyond. We have a comprehensive recycling program in place to help significantly reduce our carbon footprint. There will be a $1 environmental fee attached toward your services at time of check out. We appreciate your support in helping to make our planet a better place. We love our furry little friends. Salon 1800 is a dog friendly salon. We welcome you to shop our retail area or receive hair services with your cute little canine. We do ask that if you're receiving nail or waxing services that Fido stays at home for that visit. We happily extend 20% off to Chicago high school and college students. Upon checkout please present your high school or college ID that is valid for the current school year. 20% discount applies to your service received Sunday through Thursday. If you're receiving multiple services we will discount the highest value. Alumni IDs are not eligible for the student discount. © 2018 Salon 1800. All rights reserved.